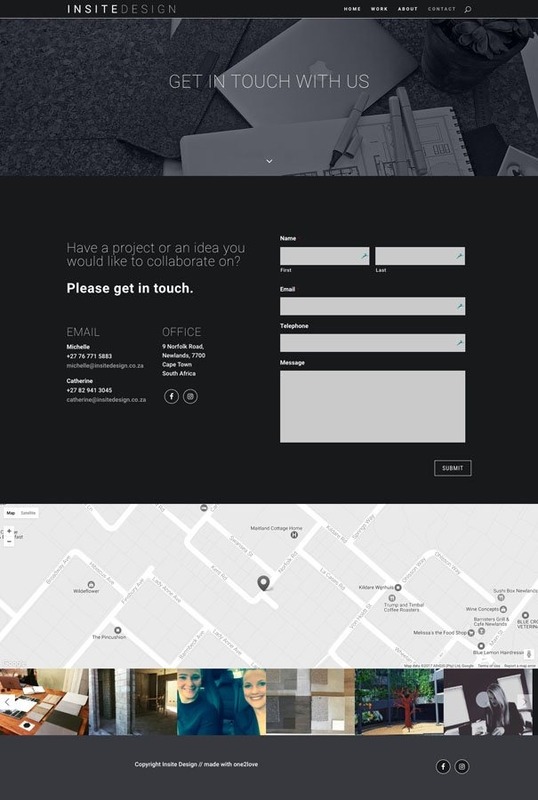 A clean minimal monochrome web design. 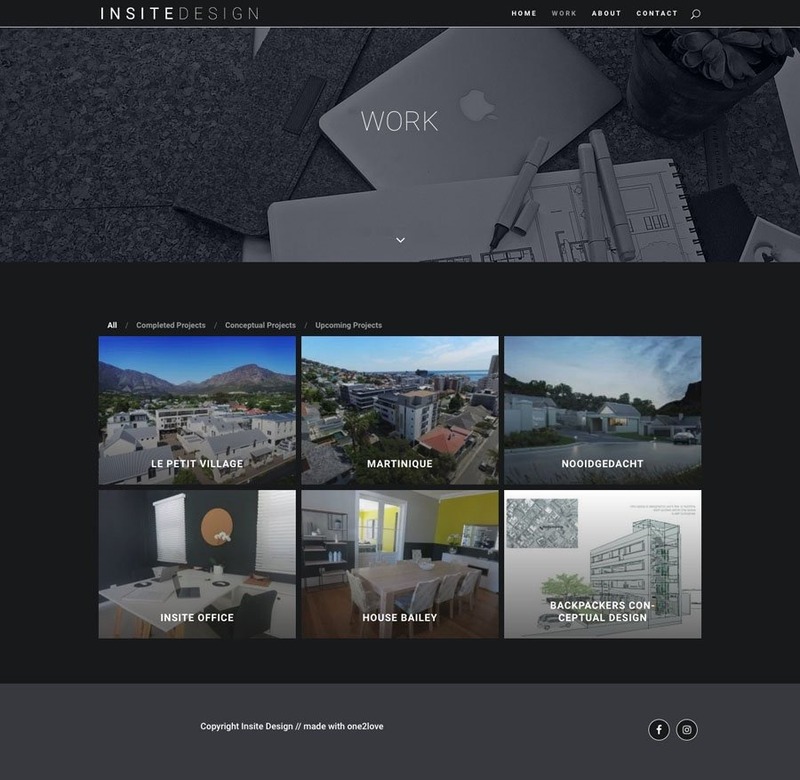 Insite Design are a Cape Town based interior design company founded by 2 young women specialising in modern, yet functional, minimalist design. Why they want a website? 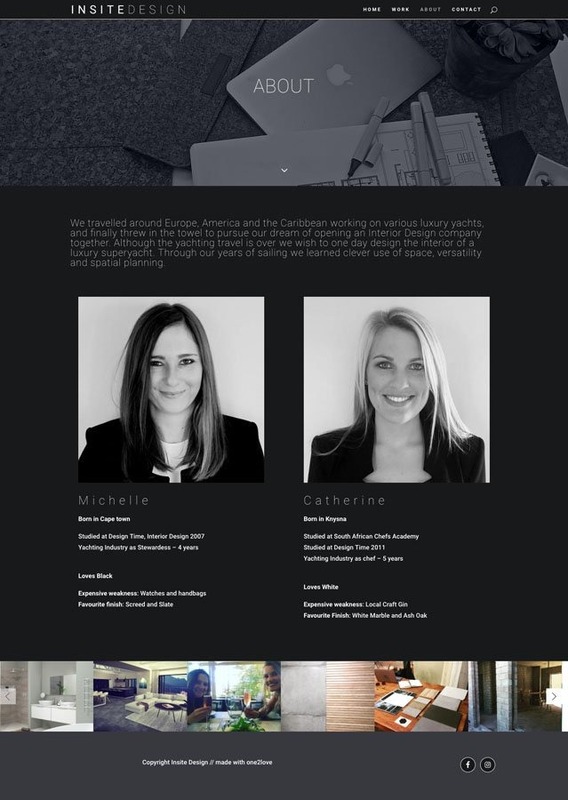 As a boutique company who work closely with their clients throughout the interior design process, they wanted a clean cut, minimal website that could be used to showcase their work. Their projects include residential, commercial and retail projects which are designed with the surrounding landscapes and topography in mind. 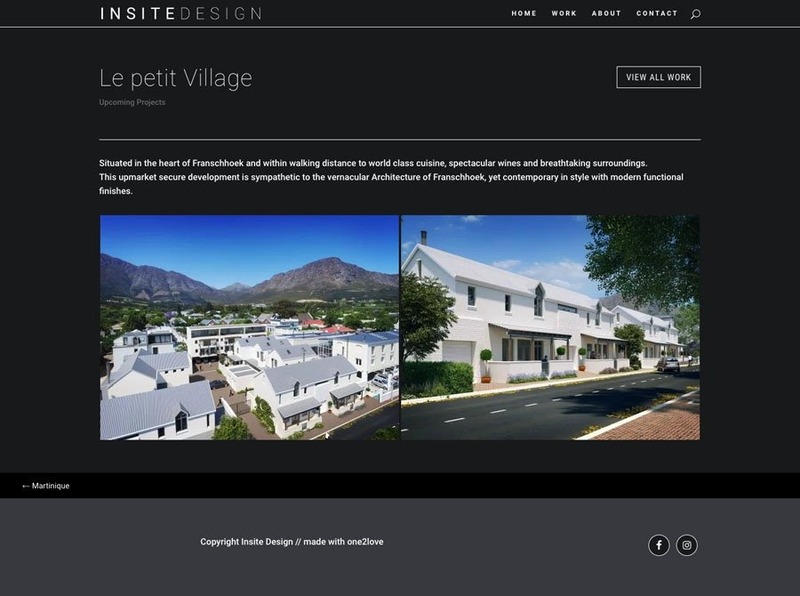 We designed a website with an emphasis on their projects. We tackled this project in a short amount of time to ensure that they were able to focus on developing their business. 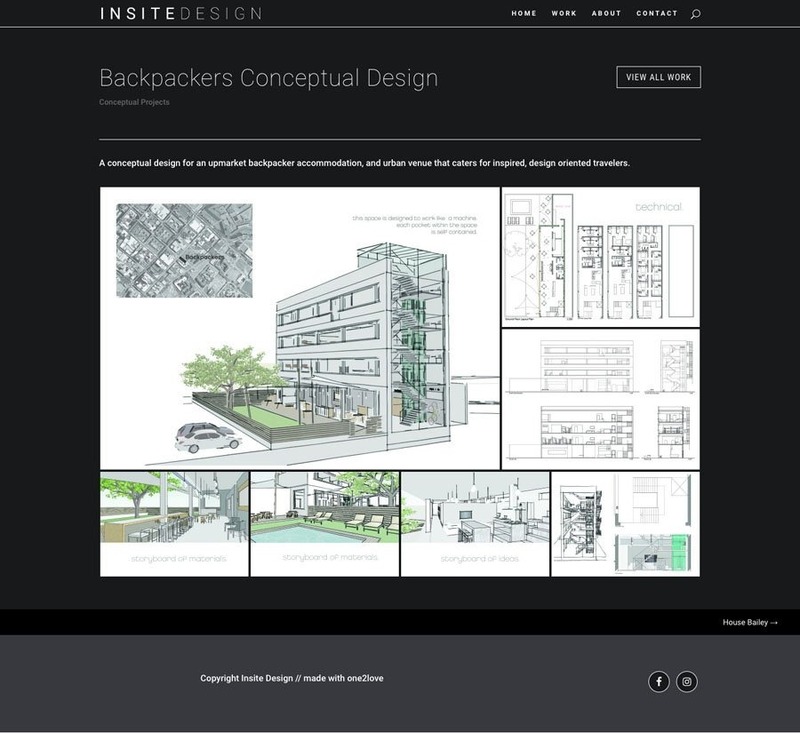 We initially met with the client to draft out the user experience, and then to ensure we had their design aesthetic on track before development. All content management, design and development were managed in-house. 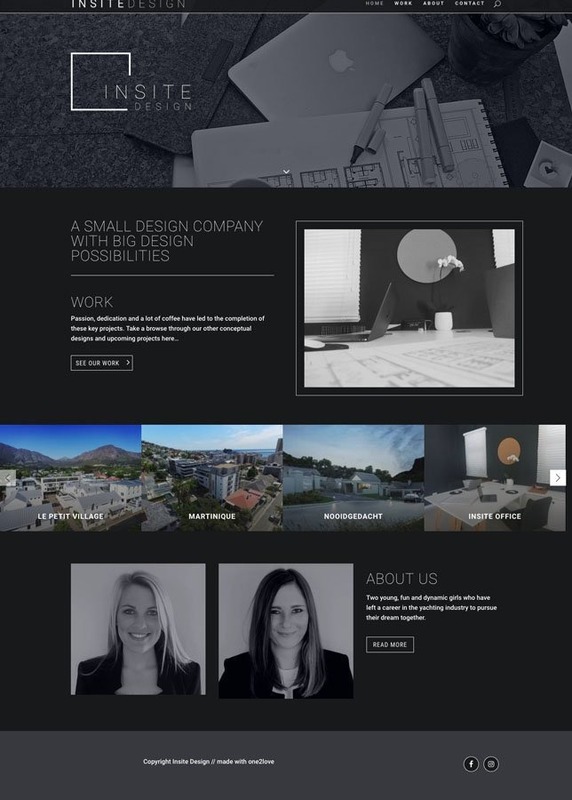 We were inspired by their monochrome colour scheme and went to work to create a clean, project driven visual website to meet their needs. Contact us about your next web design project.